Charities from all over the UK will have benefited in April as the 2018 Virgin Money London Marathon took centre stage . Spectators, runners and TV viewers saw over 40,200 runners run the 26 miles and 385 yards in scorching conditions.. The 2018 race saw another milestone achieved when Her Majesty the Queen set the runners on their way. 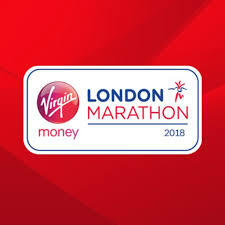 Organisers are confident that the data provided by Virgin Money and Just Giving will confirm that the Marathon broke the previous money raising effort for a 24 hour event of £61.5M. The race was founded by the former Olympic champion and journalist Chris Brasher along with athlete John Disley and was first run on the 29th March 1981 when 6255 runners completed the course. It is now organised by Hugh Brasher (son of Chris) as Race Director and Nick Bitel as Chief Executive. Set over a largely flat course around the River Thames the race has three different starting points but all the runners finish on Pall Mall alongside the beautiful St James Park. The event has raised over £890 million for charity since 1981, and holds the Guinness World Record as the largest annual fund raising event in the world. Guinness World Records play a big part in the fundraising activities of runners in the race and this year a huge 91 world records were attempted by a total of 99 runners at this year’s marathon, the highest number ever. The most visual and creative costumes and categories included fastest marathon dressed as a toilet (male), fastest marathon on stilts and fastest marathon dressed as an emoji (female). Despite the unseasonably hot weather, a total of 34 new Guinness World Records were set, the fastest of which was by Rob Pope who crossed the Finish Line in 2:36:28 dressed as Forrest Gum. Tragically one runner the talented chef Matt Campbell, collapsed at the 22.5-mile mark and, despite receiving immediate medical attention, died later in hospital. He was an experienced marathon runner who completed the Manchester Marathon earlier this month in under three hours. Matt was fundraising for The Brathay Trust. The NHS Long Term Plan Heralds a Key Role for the Voluntary Sector.